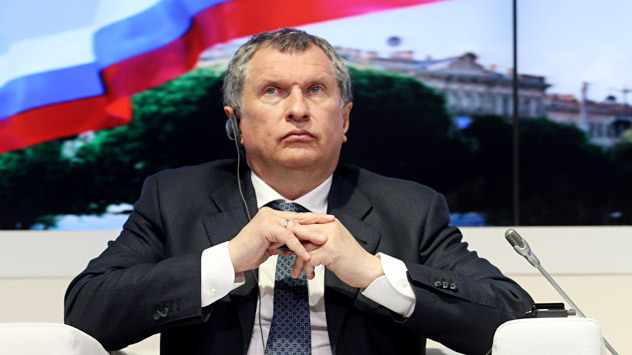 Igor Sechin tells officials in New Delhi that Russia is keen to expand energy cooperation with India and that Rosneft is looking at directly supplying crude to Indian refineries. Rosneft Chief Executive Igor Sechin, who was in the Indian capital yesterday, met several senior Indian officials to push for further cooperation between Russia and India in the oil and gas sector. Sechin, led a delegation of about two-dozen officials to meet India’s Oil Secretary Saurabh Chandra, PTI reported on Monday. “India is a very important country for Russia. We have a very efficiently run project with ONGC...now we want to expand our cooperation,” Sechin told the news agency after the meeting. “We are (also) looking at supplying crude oil to Indian refineries,” Sechin was cited as saying by PTI in a report carried by The Economic Times. Rosneft produces 200 million tonnes of crude oil a year, Sechin told the news agency. Rosneft had earlier offered ONGC stakes in 10 blocks in the Barents and Black Sea. Of the blocks offered in the Barents Sea, OMGC found five to not be lucrative, PTI said, adding that of the remaining four, it would like to participate in two. The Indian oil company was still waiting for more information from Rosneft on the others, according to the report. Sechin’s visit to Delhi is part of a larger strategy on the part of Russia to increase economic engagement with Russia’s allies in the wake of Western sanctions on the country. Given the level of dependence that Europe has on Russian oil and gas, it is unlikely that the sanctions will be extended to the energy industry. The delegation led by Sechin also visited China, Japan, South Korea and Vietnam.